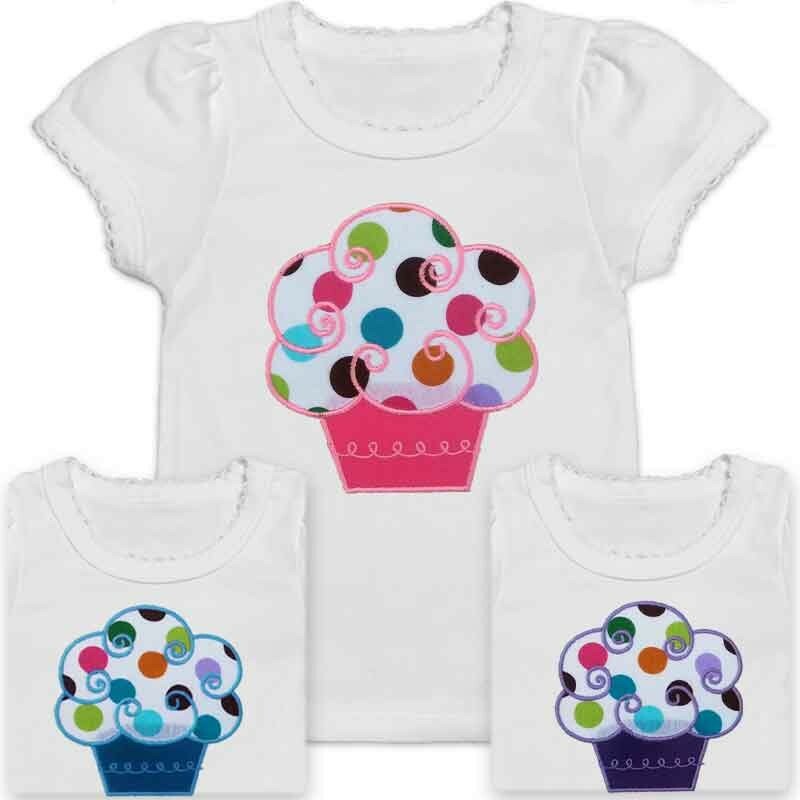 This delightful first birthday cupcake shirt will make your little girls birthday extra special! 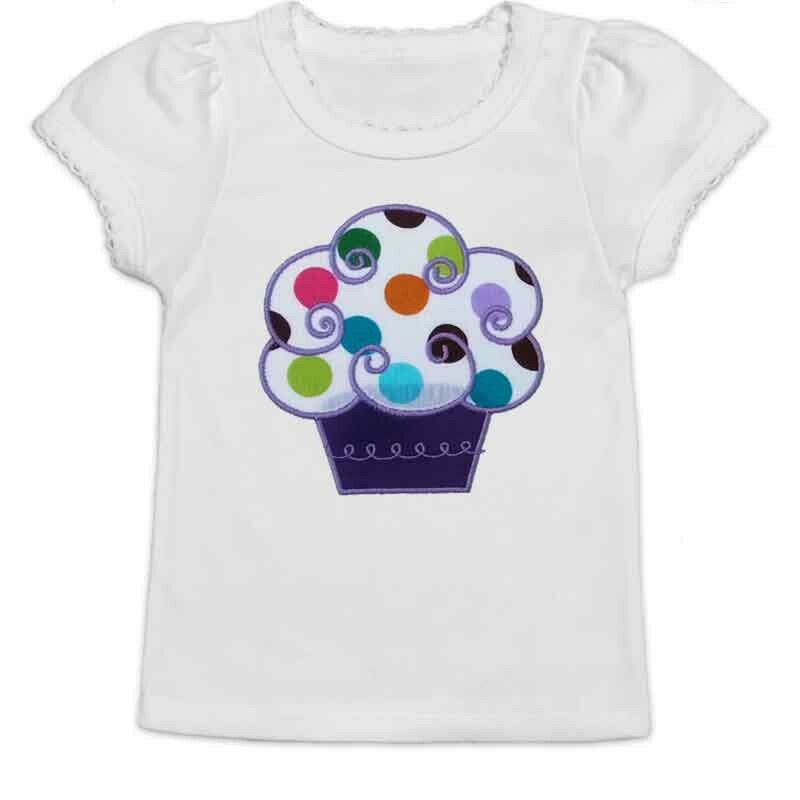 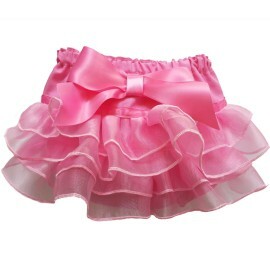 She'll love wearing this all year long! Features: White cap sleeve shirt with delicate scallop trim on the sleeves and neckline. 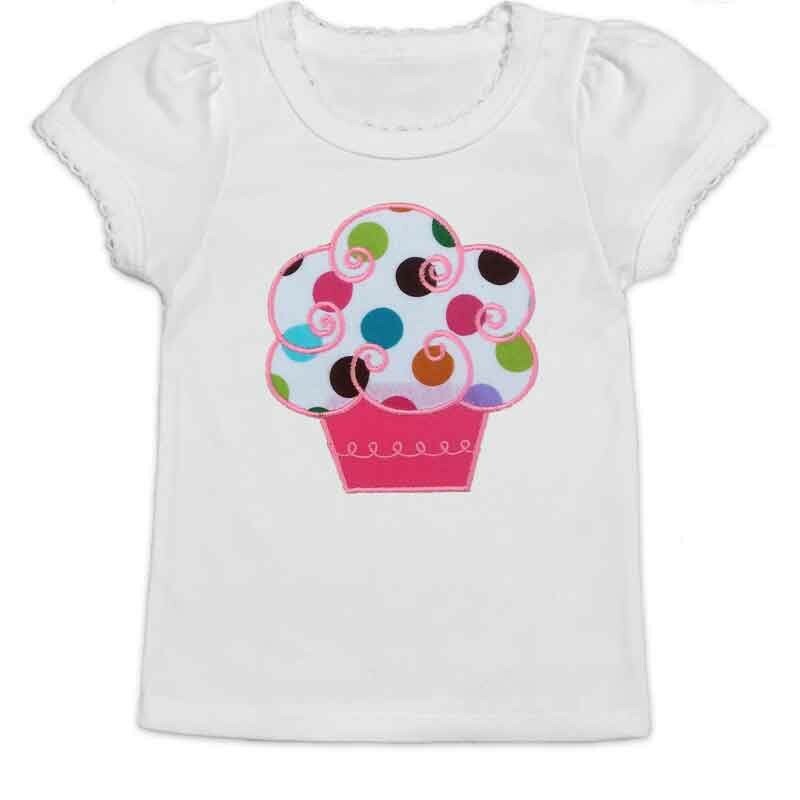 Fun and colorful cupcake applique in your choice of pink, purple, or teal.